In this post, you can learn an effective method to recover deleted or lost AVI video files with the help of free data recovery software. Due to the popularity of digital devices and multimedia technology, people knows AVI files very well, thus detailed introduction of AVI file is no longer necessary. Here will just give a brief outline of AVI files. AVI represents Audio Video Interleave that is a commonly used multimedia file format. The device was first introduced by Microsoft in the year 1992. The device or the multimedia container was able to take, record, access, save, transfer files electronically, and these files are in AVI format and consist of scenes with motions and sound. Besides, this popular device can store video or audio files with format of WAV, MOV, MPG, MP4, FLV and so on. Reasons of AVI file loss can’t be totally listed, thus, we should keep in mind to backup important data and update backup. Backup copy will be useful if people encounter data loss problem. However, there are many cases that people do not have any backup of deleted AVI files. Do they have to be panic? Actually there is free file recovery software that can recover deleted AVI files. 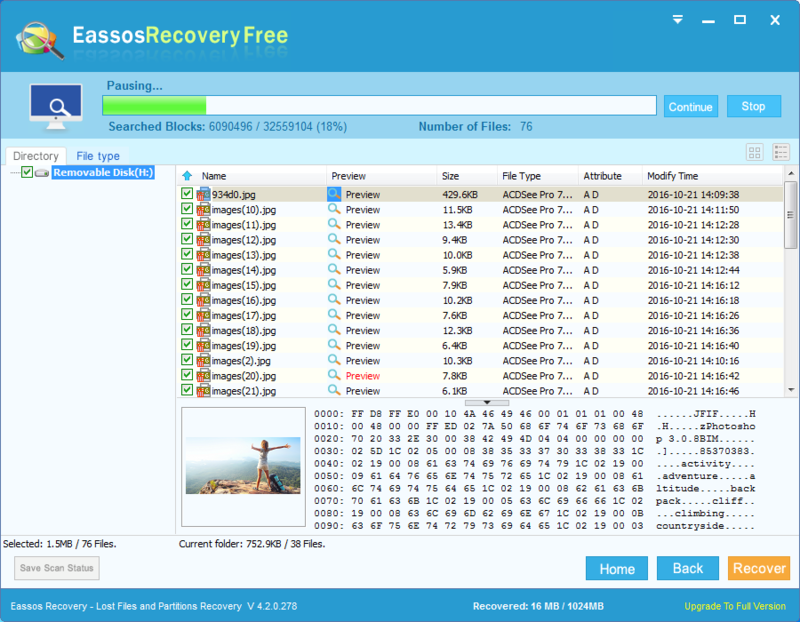 Eassos Recovery Free is powerful recovery software supporting AVI file recovery, and it is effective when recovering deleted video files including AVI, MP4, 3PG, DAT, etc. recovery. Moreover, it can recover deleted photos like JPG, JPEG, PNG, RAW, GIF, PSD, etc. and supports audio file recovery such as MP3, WAV, APE, OGG, etc. This AVI recovery software is capable of scanning corrupted hardware and restore deleted AVI data. 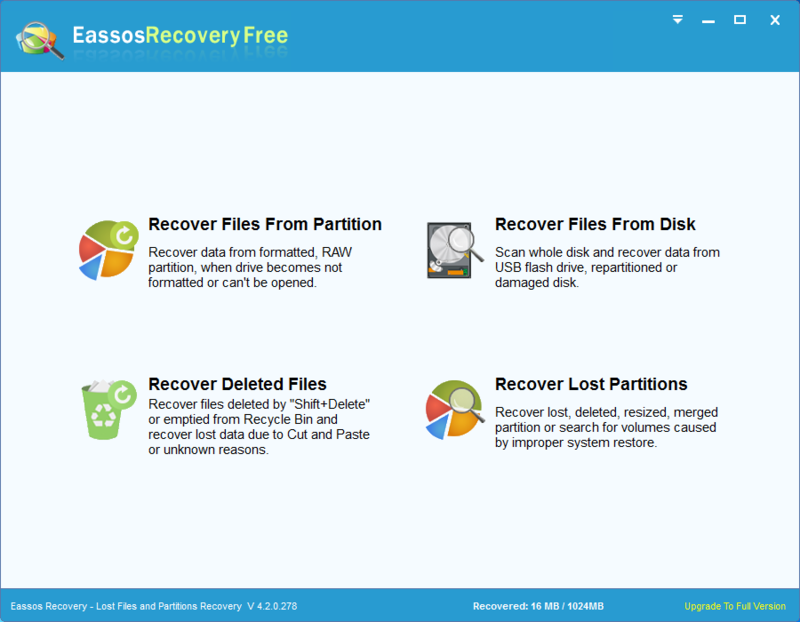 The amazing feature of Eassos Recovery is that it can be handled through simple steps. And all Windows system can run the program for deleted AVI file recovery. Let’s review the step-by-step guide. 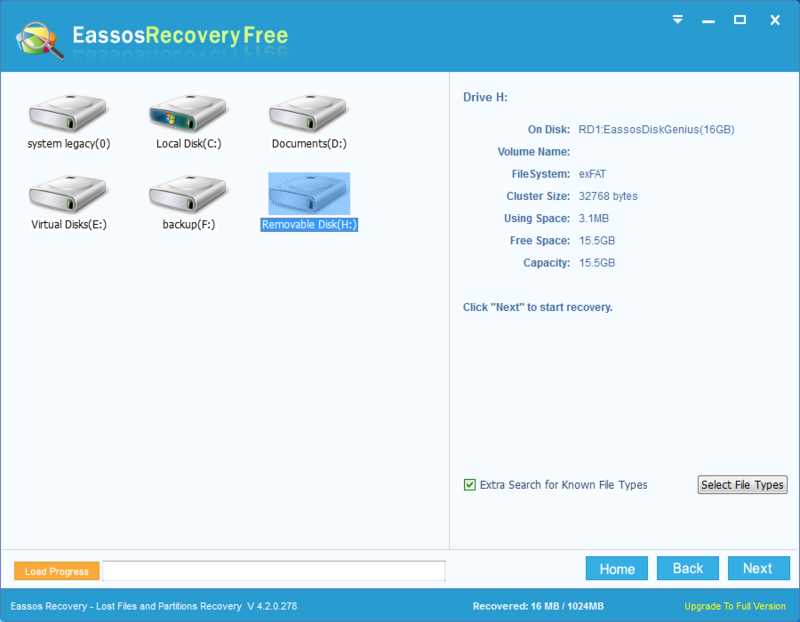 Step 1: Install Eassos recovery to computer and start it for recovery task. Then select proper recovery mode for deleted AVI files. Step 2: Select the partition or drive that needs recovering deleted AVI files and click “Next” to scan files. Step 3: Preview and save listed AVI files. Step 4: Recover deleted video files by saving them to a different location. This entry was posted in Data Recovery and tagged AVI file recovery, free file recovery software, Recover deleted AVI files by EASSOS. Bookmark the permalink.